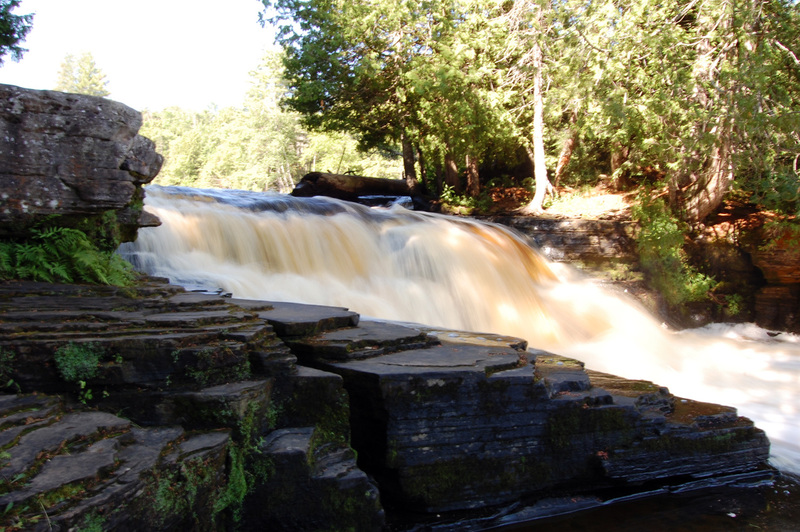 On our 2nd day in the UP (upper peninsula) we hiked from our campsite to the lower Tahquamenon Falls. We got absolutely eaten alive by mosquitoes, even though it was only 10am! When we finally emerged from the forest we saw an island with waterfalls on either side of it. And on our hike back to the campsite we saw some deer foraging in the woods!